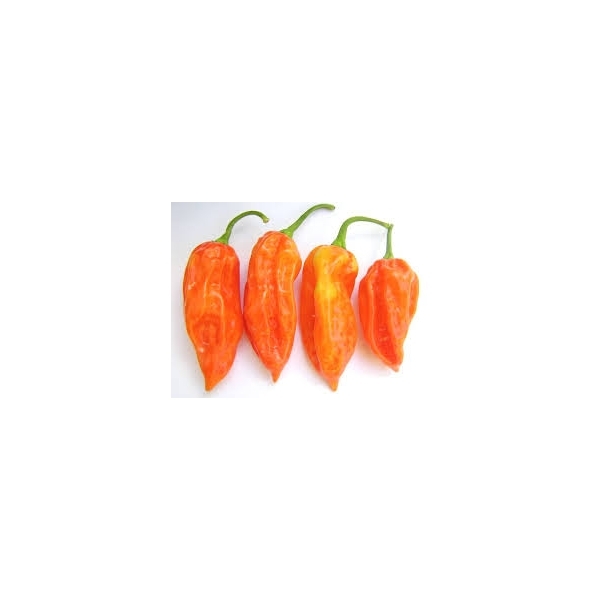 Bhut Jolokia Peach is Capsicum Chinense variety from north-eastern india. The Scoville Units is between 800,000 - 1,001,300. 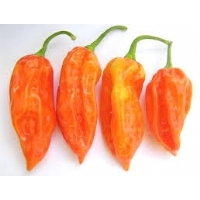 Bhut Jolokia Peach is Capsicum Chinense variety from north-eastern india. The Scoville Units is between 800,000 - 1,001,300 and was recorded in the Guinness Book of records as the world's hottest pepper in 2011. The plants can grow up to 60-70cm high and the width of 70-80cm and the pods can reach 5,1-5,3cm in length with wrinkled skin. The fruits initially turn from green to a peach colour when ripen.